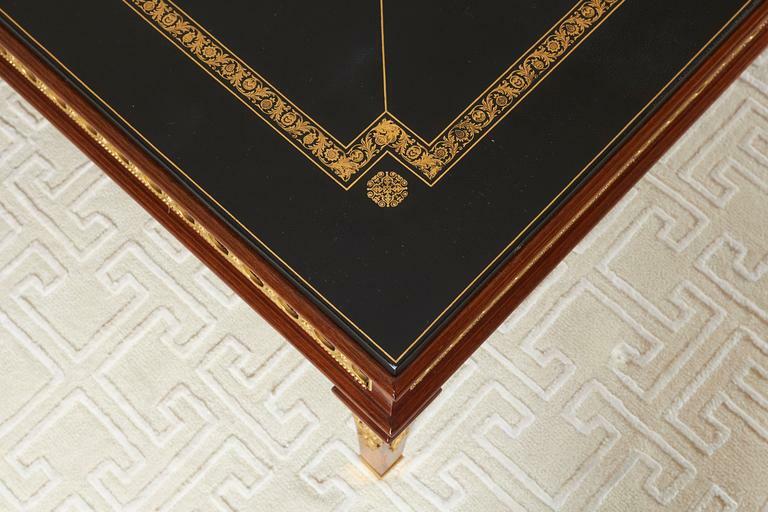 The nearly square top lined with black gilt-tooled leather over a paneled frieze mounted with guilloche ormolu; raised on square tapering legs terminating in sabots. 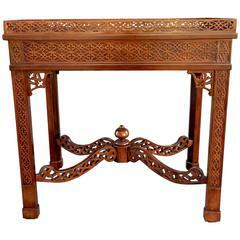 The top with attractive radiating parquetry design raised on four stylized sabre legs. 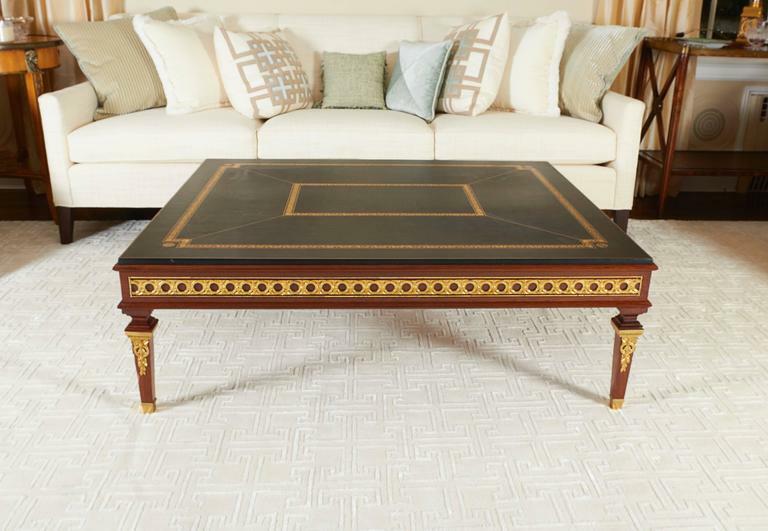 From the Barneys New York collection. 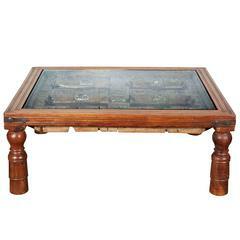 The nearly square top incorporating an antique Indian carved door with clear glass set above. 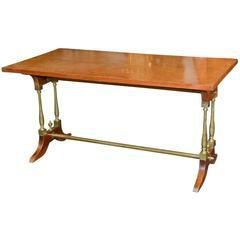 1960s French neoclassical style mahogany, maple and brass coffee table. 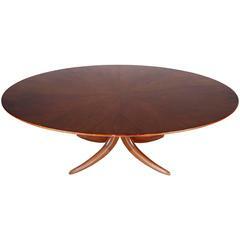 Mahogany coffee table, 1960s Measures: H 105 cm D 45 cm. 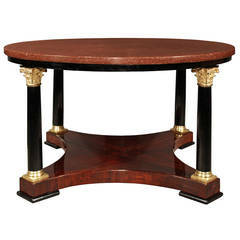 Chinese mahogany coffee table, circa 20th century. 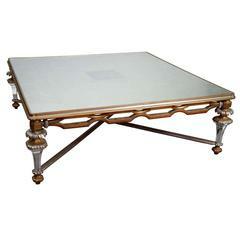 Impressive Italian neoclassical style low coffee table, early 20th century. 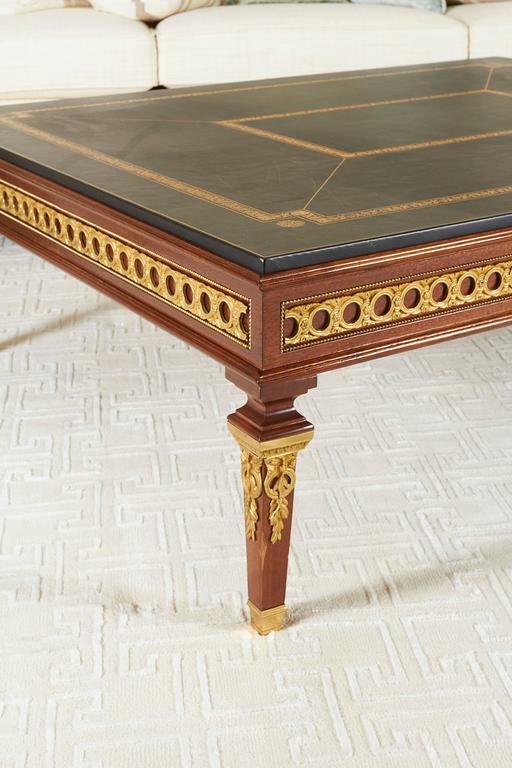 The polished rectangular top rests on four hand carved, hand painted and parcel gilt lion monopodiae. 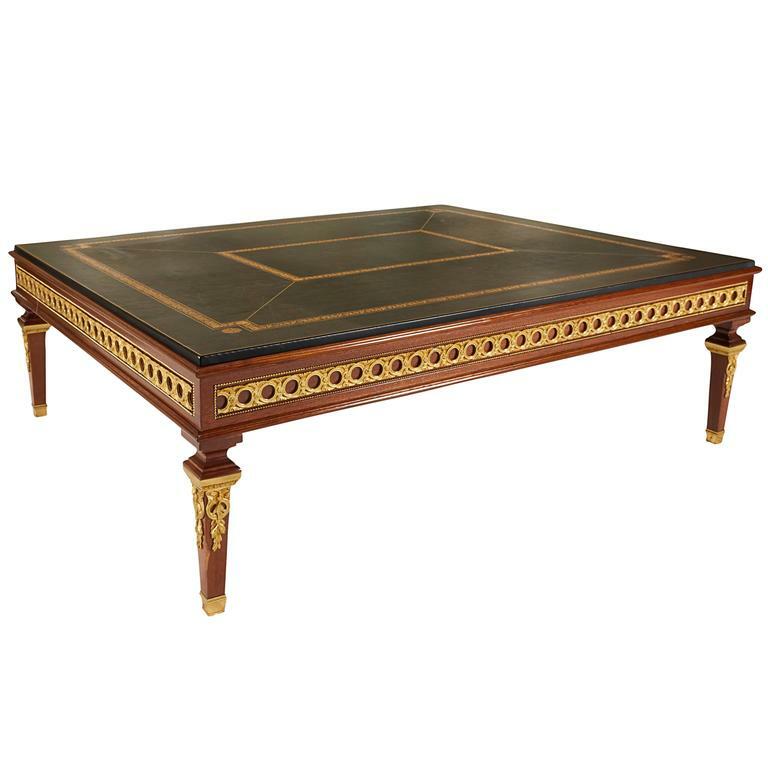 Neoclassic coffee table with veneer inlay tabletop decoration, Sweden, circa 1920. 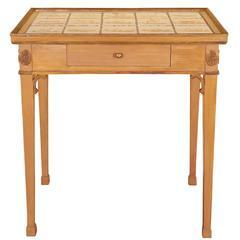 Restored, ready for use.